A+ for clever goes to author Neil Gaiman! Combining the best of two book influencer worlds, Neil shot a video praising book clubs. Uploaded September 2, 2014, it’s had nearly 10,000 views on YouTube in just 10 days. 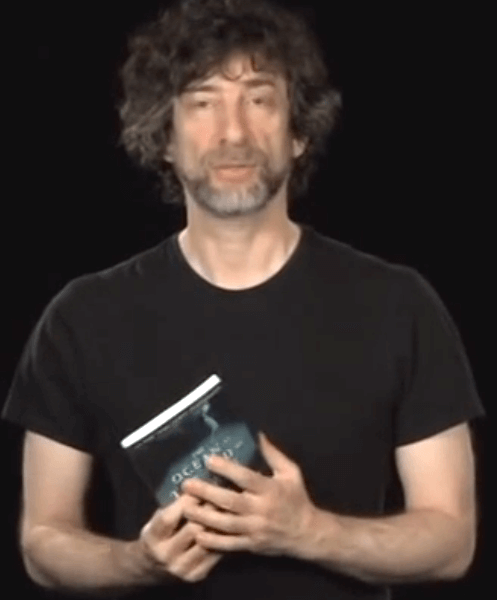 In the video (you can check it out below), Gaiman begins by praising the value of live book clubs. And not just for influencing book sales, but for what they’ve meant to him as an author being able to try his work out on a club. He then offers up his own answers for what he feels would be “top book club questions” for The Ocean at The End of The Lane. And thus inviting himself into the living rooms of live book clubs everywhere, who can read his book, and then discuss the questions, and the author’s own answers to them! Lest you think video is JUST for video book trailers and author interviews, here’s a fresh new take to include in your author marketing mix! Other cool video promo ideas? Please share with your comments below…. enjoyable. I am advising all my male authors to get the Haiman hair and scruffy look and to work on their British accents! Brilliant.